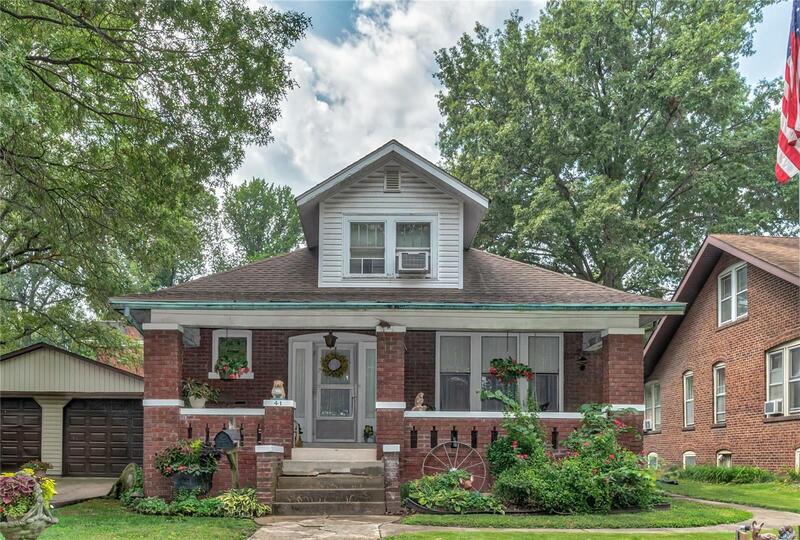 Charming 3 bedroom brick home in Belleville! As you approach this great home note the covered front porch w/ flower bed surround. Step inside to the entry foyer to find the family room on your right featuring beautiful wood floors and arched entries. Step through the formal dining room to the eat in kitchen boasting microwave & chair rail. Head to the spacious master bedroom suite to find hardwood floors, make up vanity, & attached master bathroom. Also on the main level are bedrooms 2 and 3, 1/2 bathroom w/ ceramic floors & pedestal sink, & mud room with built in cabinets. Head to the upper level (redone 6 years ago) to find a living room, kitchen, study, bonus room, and full bathroom w/ handicap rail in tub. Step out the back door to find a large yard, & spacious covered deck with hot tub. Also noteworthy is the basement bar, and detached 2 car garage w/ separate electric & furnace, insulated walls, & work bench. Home being sold AS IS.